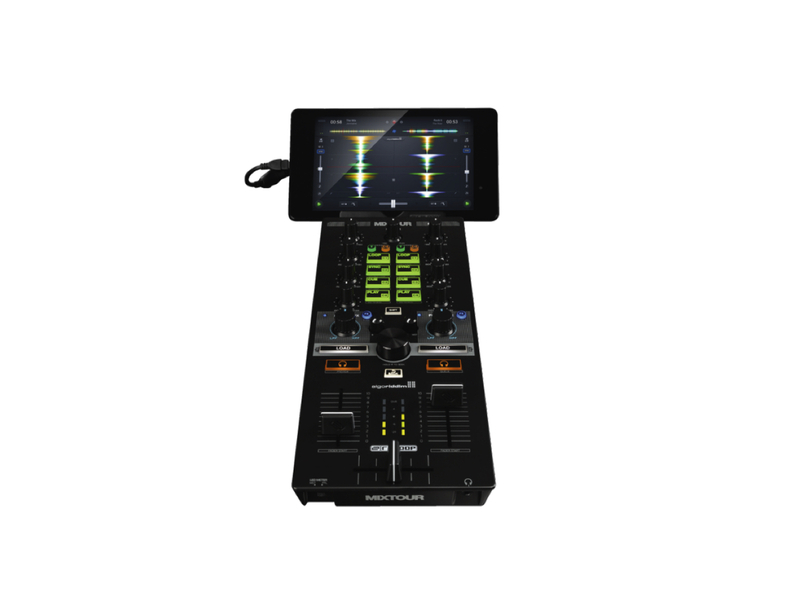 Experience a powerful and sleek controller that works with all your devices with the Reloop Mixtour Portable Cross-Platform DJ Controller. 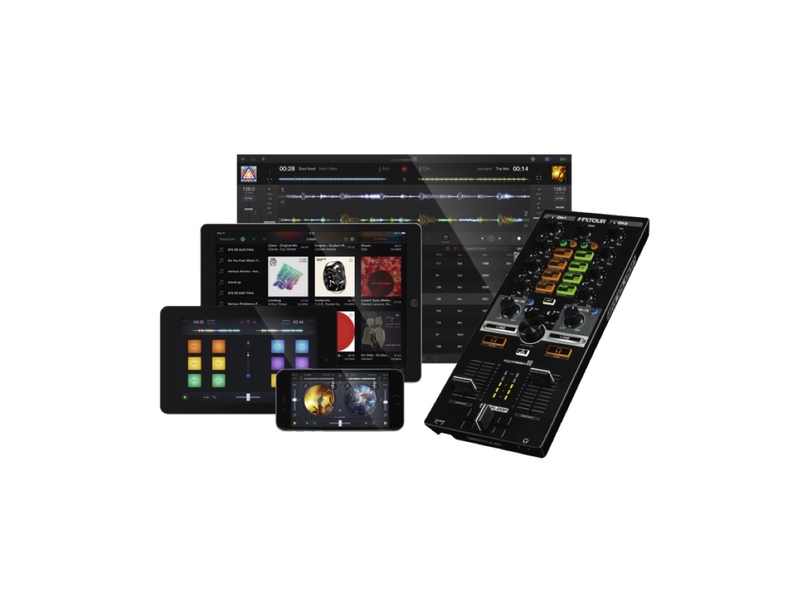 Experience a powerful and sleek controller that works with all your devices with the Reloop Mixtour Portable Cross-Platform DJ Controller. 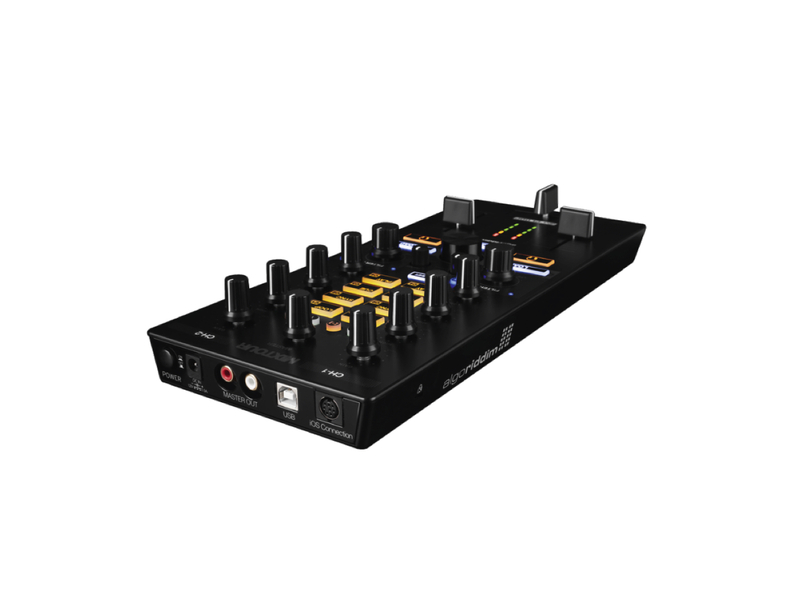 Featuring a compact DJ controller layout, the Mixtour comes with two channels. 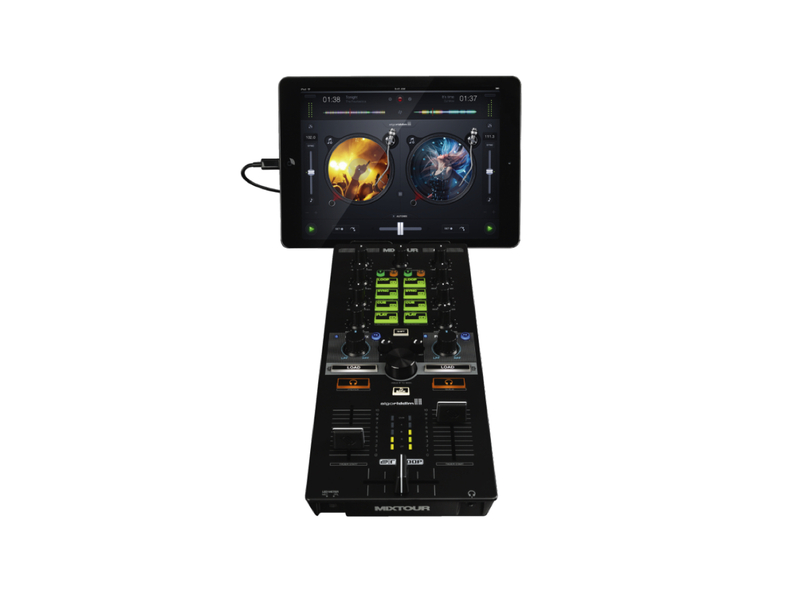 Additionally, it combines essential mixing functions with a Remix, FX, and Transport section into a single device. 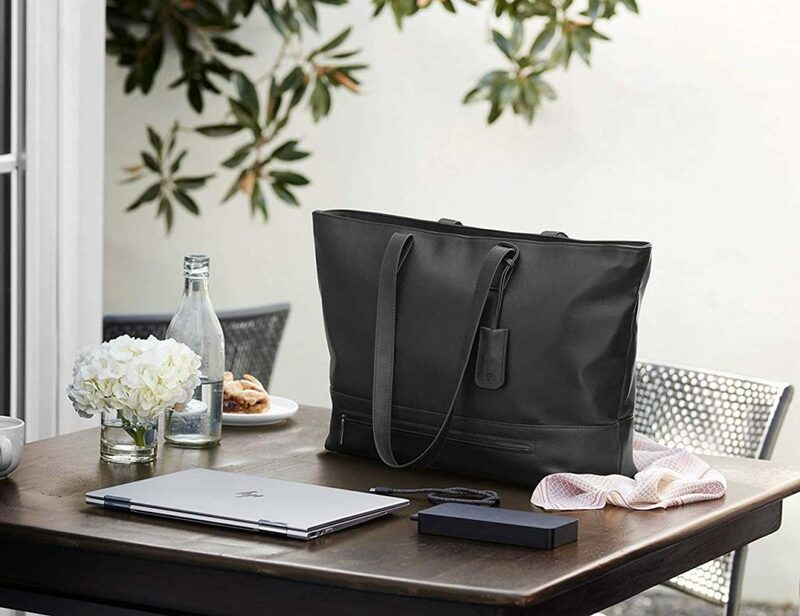 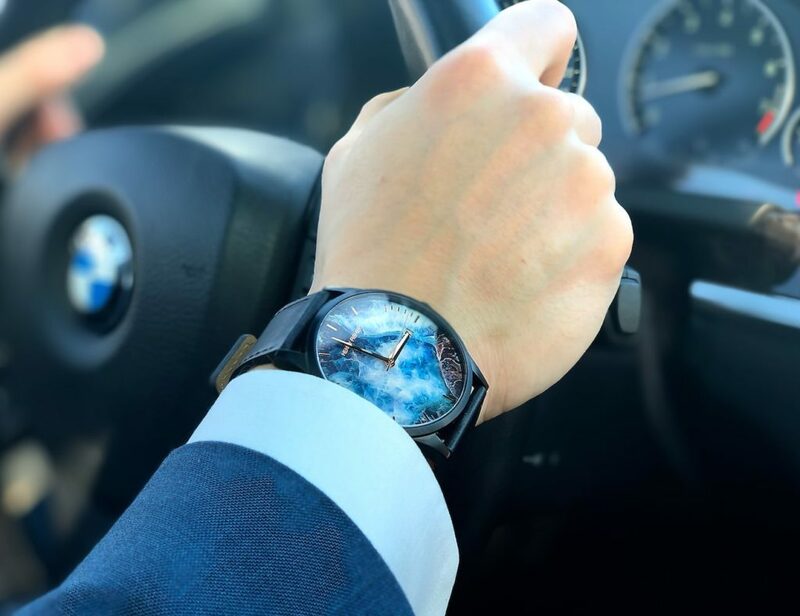 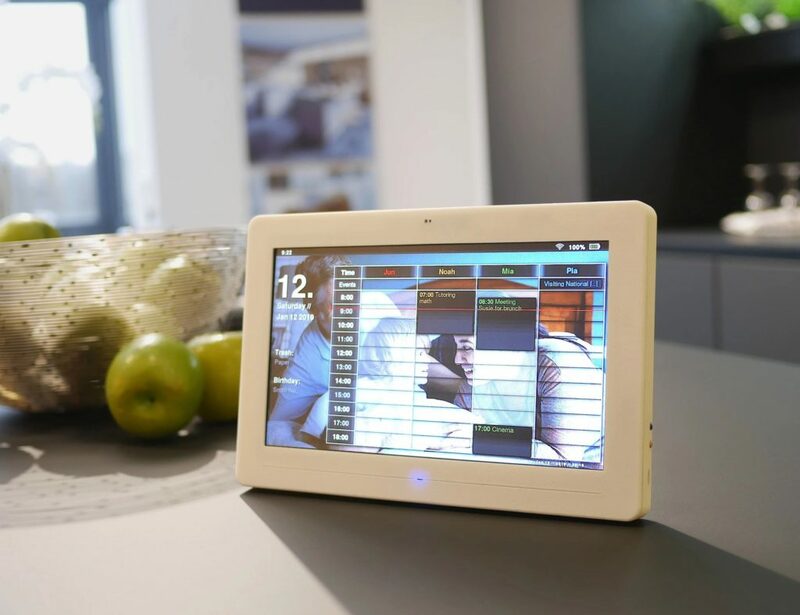 It also works with Mac, PC, iOS and Android apps. 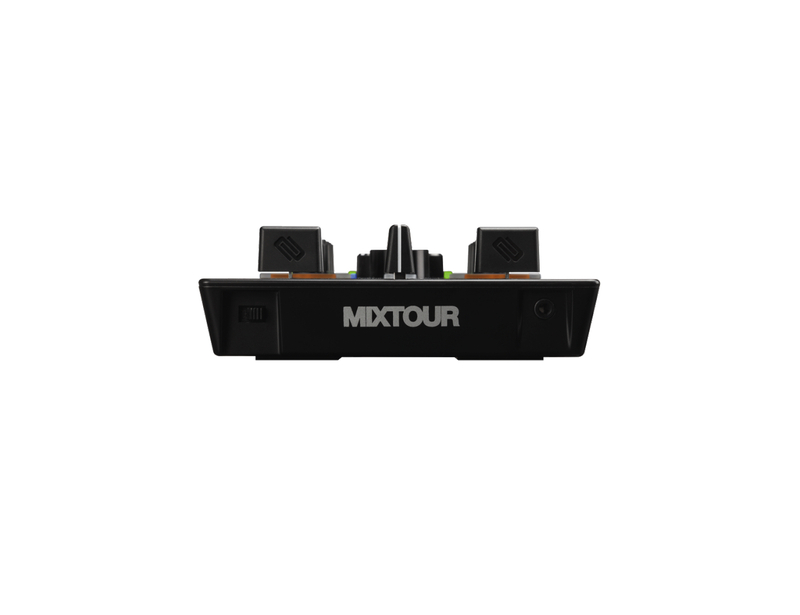 The Mixtour pad section offers multiple functions and performance modes. 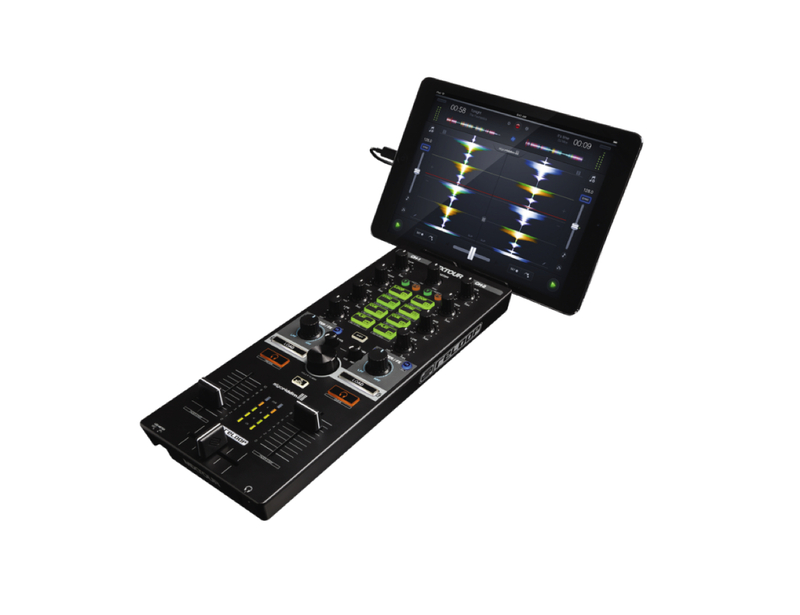 In fact, it comes with eight multi-color performance pads with different modes. 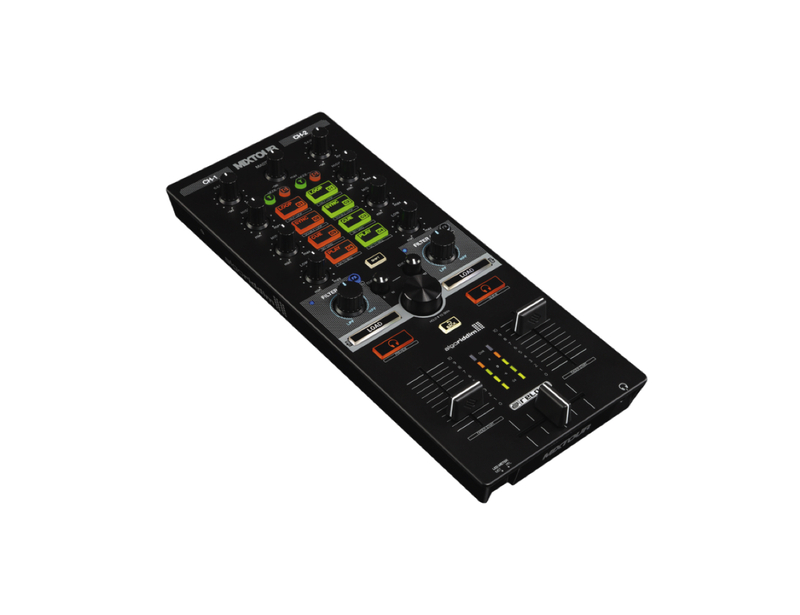 For example, the Transport mode comes with Play, Sync, Auto-Loop and Cue controls. 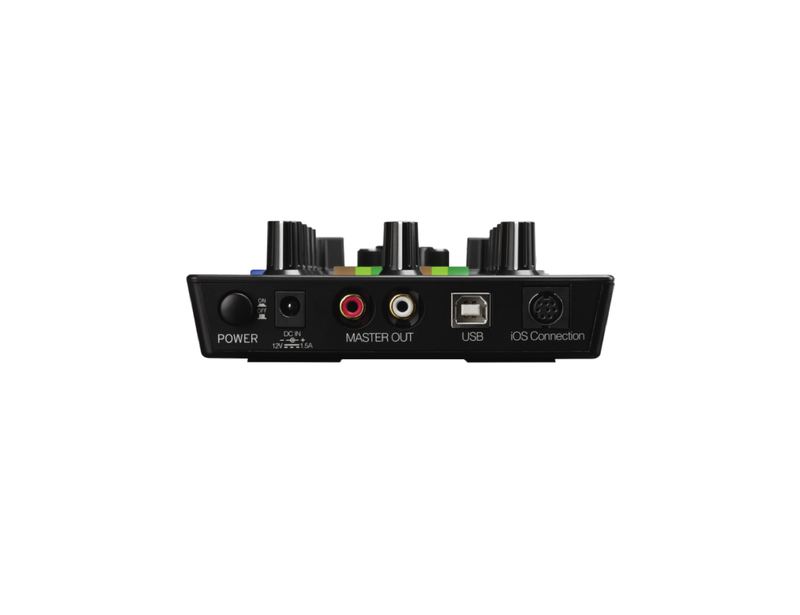 Using Hot Cue mode, you can set, store and trigger as many as four cue points. 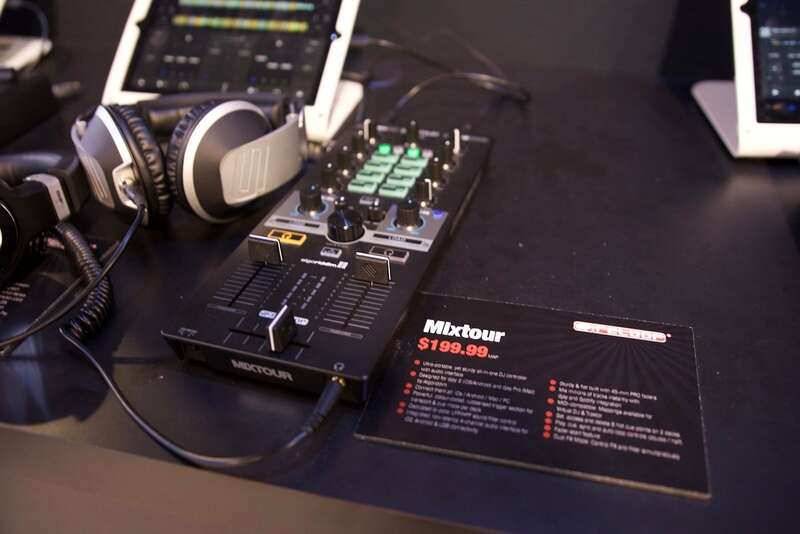 Despite its portable size, the Mixtour has the same quality and design of a clubmixer, including full-size control knobs and 45mm Pro-Faders. 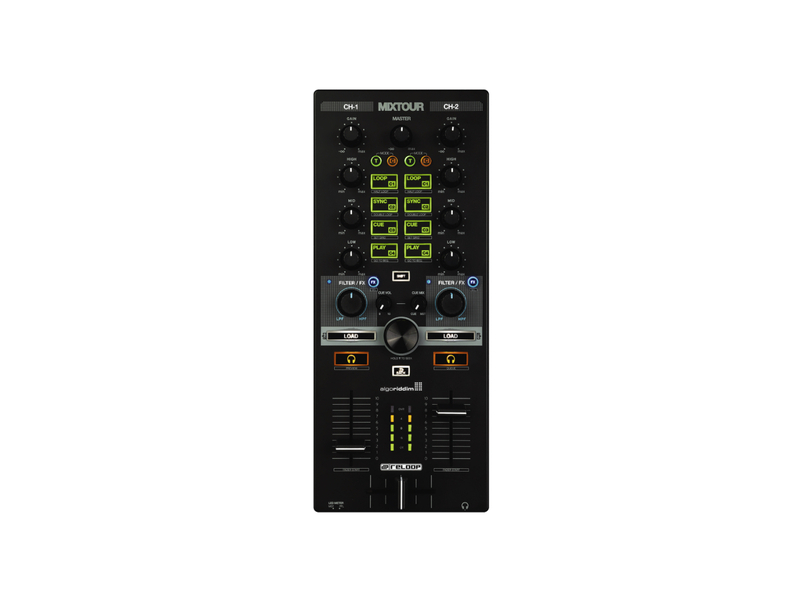 Fully MIDI-compatible, you can easily control any MIDI-capable software using the Mixtour.